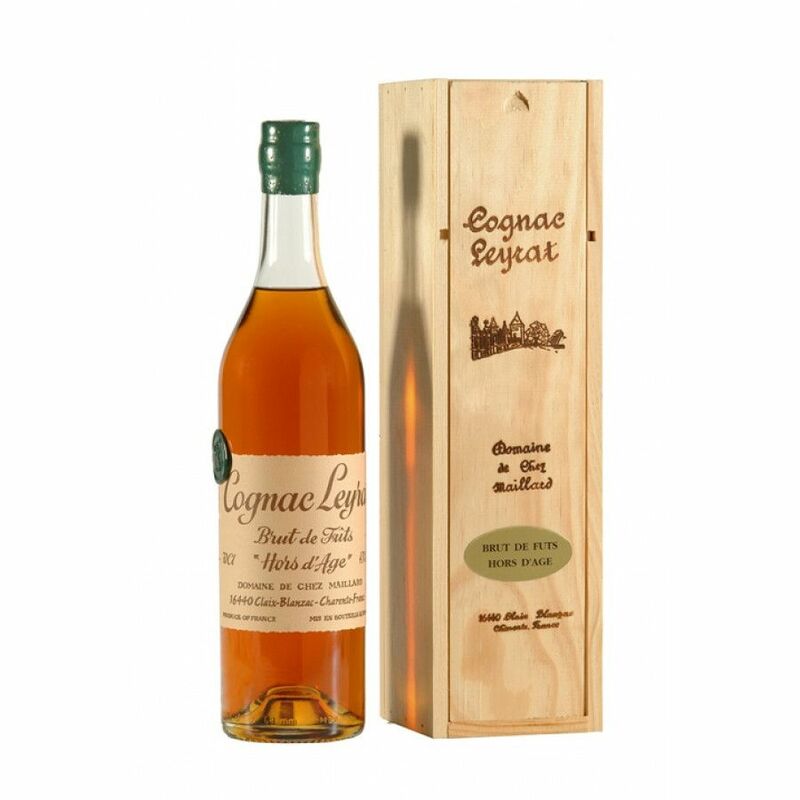 Leyrat Brut de Fût Cognac is a Hors d'Age, made solely from grapes from the Fins Bois terroir. Everything about the product says quiet class - from the simple, traditional shaped bottle, the old style label and, of course, the cognac itself. Presented in a delightful wooden presentation box, this is truly a drink for the cognac connoiseur.